ZipLoan is an RBI registered NBFC that is focused to help the MSMEs in India through its small business loan products. The NBFC was established in 2015 by Kshitij Puri (CEO) and Shalabh Singhal (COO). ZipLoan first started its operations in Delhi-NCR and Indore and today is operational in more than 14 cities including Jaipur, Haridwar, Dehradun, Lucknow, and Mumbai. The investors of the lending company include Matrix Partners, WaterBridge Ventures, GrowX Ventures, and Saif Partners. The company raised an undisclosed amount in 2016 funding from GrowX Ventures. Before that, ZipLoan had raised funding from Sarvbir Singh, former MD, Capital 18 as well. In October 2017, the Delhi-based SME lending platform raised 20 crores in Series A funding from Matrix Partners India. 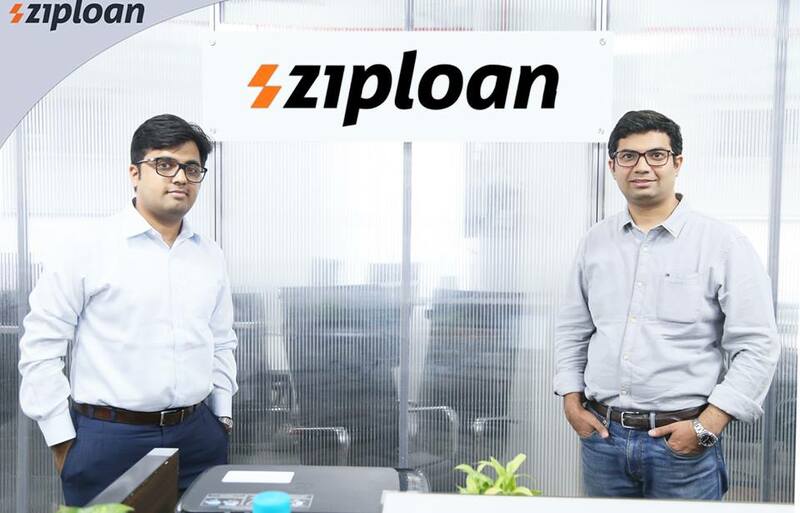 ZipLoan’s existing partners, including Whiteboard Capital, WaterBridge Ventures, and Sarvbir Singh also participated in this funding round. In the latest round of funding – Series B led by SAIF Partners in 2018, the company successfully raised Rs. 90 crores. In the near future, it is looking forward to raising another Rs. 250 crores. The small business loan lending company offers collateral free short-term loans to Micro, Small and Medium Enterprises (MSMEs). The online lending company is a technology-enabled platform and is known for fast disbursal process, minimal documentation, and basic eligibility criteria. ZipLoan offers an online loan application form and enables the business owners to apply for a business loan without having to visit their branch offices in person. ZipLoan offers business loans ranging from INR 1 lakhs to 5 lakhs for a time period of 12-24 months. The credit size offered by the company in 2017 was INR 10 crores across 350 loans with an average window ticket size of INR 3 lakhs. And in the previous 12 months, the company has been able to disburse Rs. 150 crores which represent almost 10 times growth. So far, the NBFC has serviced more than 3500 small business owners. All the loan products offered by ZipLoan are collateral-free and offered at minimal documentation. In addition, ZipLoan also has its own credit evaluation process called ZipScore that it uses to evaluate the creditworthiness of the borrower in a holistic fashion. This system helps in ensuring that most small business owners get access to the funds for their business.